Brain haemorrhage. 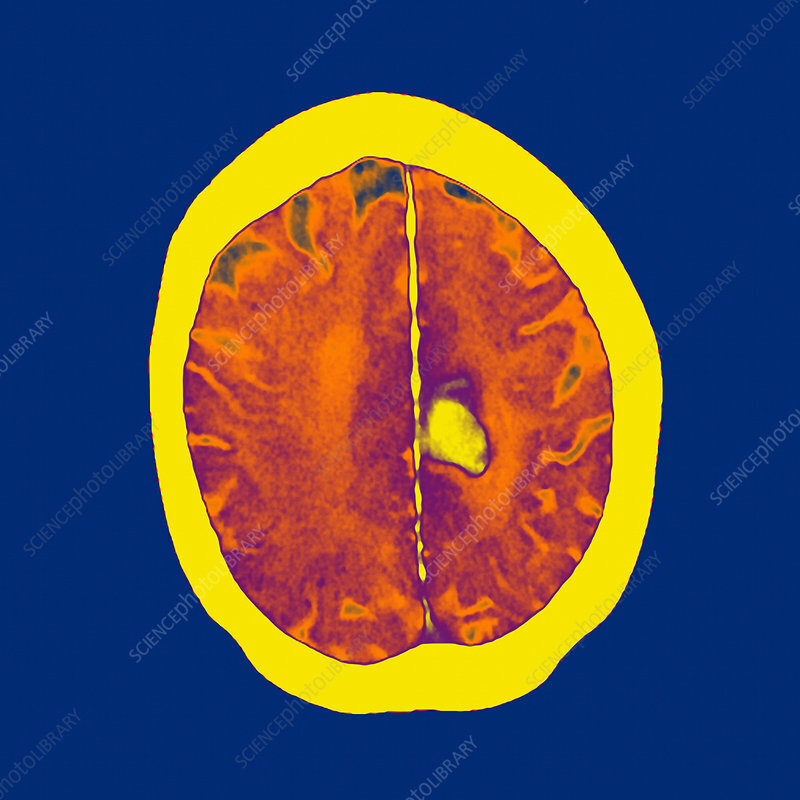 Coloured computed tomography (CT) scan of a section through the brain of a female patient with an intracerebral haemorrhage (yellow patch, centre right). Intracerebral haemorrhages (bleeding) are most often caused by hypertension (high blood pressure), but may also be caused by injury, drug abuse or an abnormality of the blood vessels. Symptoms include headaches, nausea, vomiting, and deficiencies in balance, coordination and focusing the eyes. Treatment can involve removing any clotted blood and taking drugs to reduce blood pressure or to thin the blood.